Federal and state taxes are used to maintain and pursue the priority objectives of those governments. The U.S. Federal Government has one budget and the States have budgets of varying amounts and allocation based on the interests, goals and decision making within those states. Generally, federal and state taxes are used to preserve an economic, legislative and social system. This is done through tax budget allocations into parts of our society that benefit the system as a whole. To illustrate the aforementioned, the Federal Government spends a great deal of tax dollars on national defense and social security; this serves to achieve two primary objectives helps keep the nation safe, and assists in sustaining contributors to society in accordance with their recorded historical taxes. When reviewing federal and state tax spending, it is important to note the possible inaccuracies, potential misinformation be it intentional or unintentional, and data discrepancies can paint a somewhat misleading or skewed interpretation of the financial reality. It is important to note that state budgets do not necessarily reflect actual spending. Moreover, even though a state votes on and allocates funds through a budget, events during the year and/or underestimation or overestimation of costs may lead to government expenditures other than that budgeted for. This is also the case with the federal government. An example being the 2008 federal budget; at the beginning of 2008 it was not foreseen that federal aid would be spent to purchase the Mortgage Backed Securities (MBS Certificates) of large companies such as Freddie Mac and Fannie Mae. In the 2008 U.S. Federal Government tax year, the budget was $2.902 trillion according to gpoaccess.gov summary tables. However, in 2008 U.S. federal deficit spending was $454.8 billion (cash basis) more than expected as per the U.S. Department of the Treasury. Another example is California in the 2008-2009 tax year; the State of California budgeted for a 51.9% allocation of tax revenue for education whereas usgovernmentspending.com estimates the same to be around 17%. These discrepancies between state and federal budgets and actual spending should be considered as potentially affecting the reality of government tax revenue spending. These discrepancies may be explained by reasons illustrated in sections II and IV below. Another area of federal and state finances to be aware of is total spending versus tax revenue spent. A state may receive federal funding or spend on credit to finance systemic goals within a given year. This means that the percentage proportion of total tax dollars spent on specific areas of government operations such as education or health may not be the same or even similar to that of the total spending. For this reason it is important to have the correct data when arriving at conclusions regarding total government disbursements. Several websites contain useful information pertaining to federal and state spending and are listed at the end of this article. Additional information may be obtained through each U.S. State’s department or executive branch that gathers, collects and distributes tax revenue. Examples of such include California’s Franchise Tax Board, New York’s Department of Taxation, Finance, Texas Comptroller of Public Accounts, and Maine’s Division of Revenue and Financial Services. In terms of the Federal Government, the above linked to U.S. Office of Management and Budget, also in the executive division of Government, compiles and publishes annual federal tax receipt information. 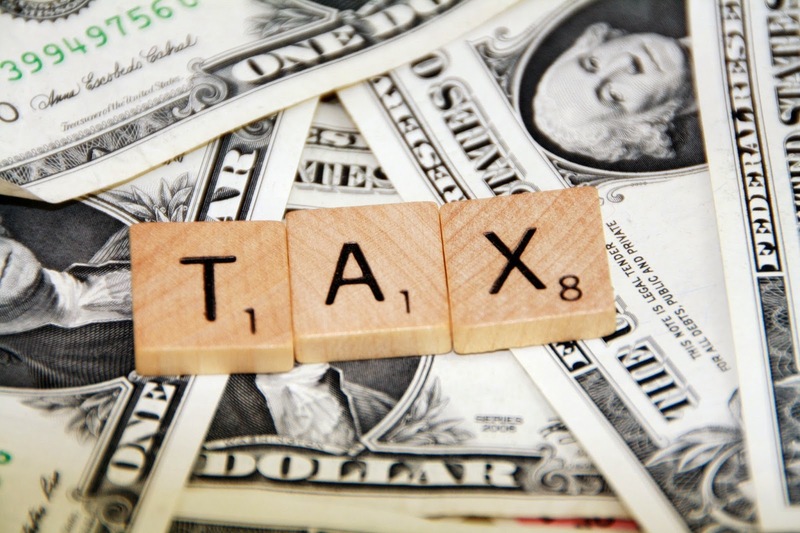 There are several distinctions between federal and state tax uses. The U.S. Federal Government tends to focus on macro-economic and large scale societal agendas and goals whereas U.S. State tax budgets allocate funds for issues unique to a specific state that may not be as important in another state. For example, according to www.usgovernmentspending.com the State of New York spent 39% of its total 2007 expenditures on Health whereas the State of Montana spent 21% on the same. A general breakdown of government tax revenue spending is provided below. Government tax allocations and classifications may be disputed by definition leading to further confusion about actual tax dollars spent. For example, a state may claim to have spent 35% of its annual outflow on welfare when 12% of that spending was on the salaries of government workers and overhead. Many scenarios in which government spending is spread over a range of items such as services, administration, products, and costs can be debated and identified. The reasons for erroneous, misleading or inaccurate conveyance of data can also vary and several possible explanations exist. For example, a part of the reason for this is presentation of data. If a government is aiming for financial transparency, but has too much information to make transparency easy for the public to interpret, simplification of financial data may be used. In such cases, expense categories may be grouped together under a larger category. Lastly, accounting methods used by the government to present financial data also has an impact on what is spent where. Critics assertions of the U.S. Federal Government’s financial reporting claim official financial reports regarding budget deficits use cash accounting rather than accrual accounting which understates actual amount owed and emphasizes dollars spent. This difference can lead to a difference of trillions of dollars in Government spending, only part of which was from tax revenue in 2008 and 2009. In other words, even if tax revenue is used in a specific way, Government spending decision throughout a fiscal year may deficit spend based on future tax earnings and federal capacity to pay debt.